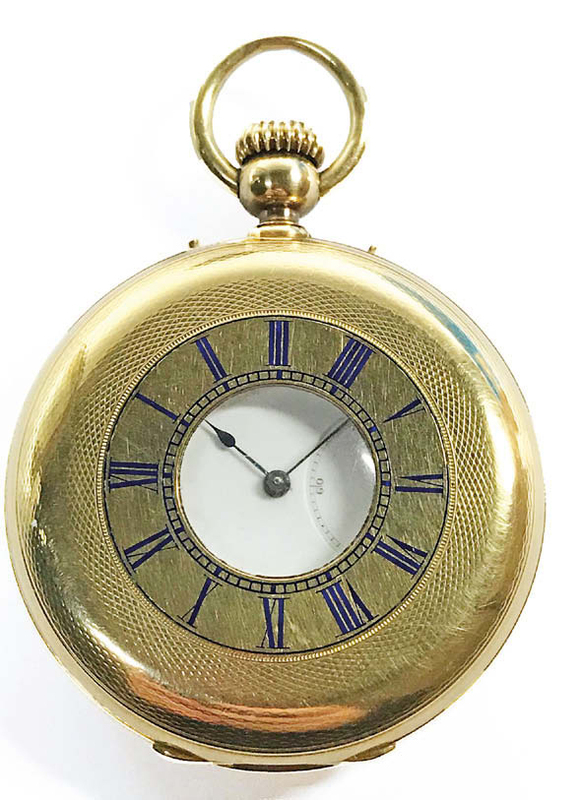 While many a hopeful vendor has to be told gently that great-great-grandpa’s pocket watch is worth little more than the melt price of the metal, a complication or major name – such as the signature Ch. Frodsham, London to the movement of this example, below – makes all the difference. This watch with the signature Ch. Frodsham sold for £2000 at George Kidner. Numbered 8533, the 2in (50cm) diameter watch sold at £2000 at George Kidner’s (19% buyer’s premium) March 1 sale in Lymington, Hampshire.